“We wish to reiterate our position adopted at our National Executive Council (NEC) meeting on Oct. 23 that any figure below N30, 000 will not be accepted by us. “We call on our members to continue to mobilise in preparation for the commencement of an indefinite strike on Nov. 6, if by then necessary steps are not taken to adopt the recommendation of the Tripartite Committee,” Wabba said. 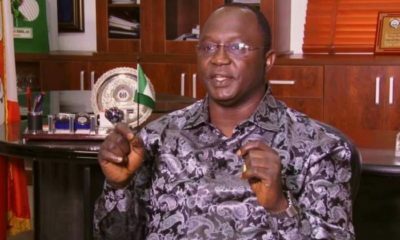 The NLC president also said that the NGF was not a negotiating body but merely a party in the negotiation for the convenience of state governors. 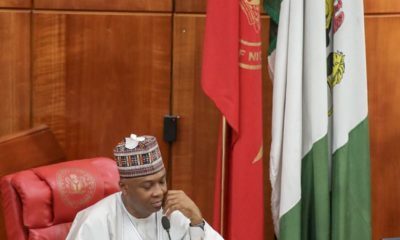 He also noted that the Tripartite Committee from inception sent letters to each state government to send their memorandum as their contributions to the new national minimum wage negotiating process. The President, however, said that 21 states sent in their memorandum quoting figures. “Second, the demand of organised labour is not N30, 000. Our initial demand is N66, 500. 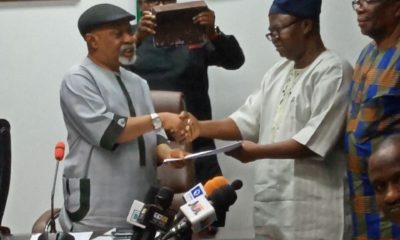 N30, 000 is the compromise figure arrived at the end of negotiations by the tripartite partners, which are the governors, employers and organised labour. “The new minimum wage was a product of intense negotiation that lasted for almost one year,” he said. 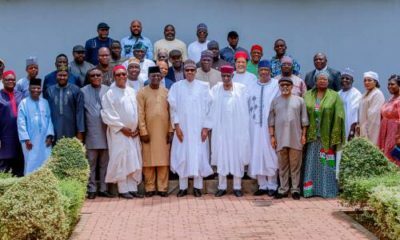 He also noted that the governors had six representatives on the tripartite committee; one state governor represented each of the geo-political zones. He said that the representatives of the state governors were part and parcel of the negotiating committee from the beginning to the end. He said that the unilateral pronouncement by governors is an abuse of every known principle of industrial relations, laws, processes and international best practices. 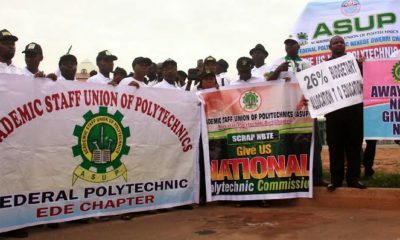 “Third, the NGF, erroneously, stated that the population of salaried workers is five per cent of the general population in Nigeria. “This five per cent represent the nation’s workforce including teachers, health workers, police personnel, military men and women and among other workers labouring for the development of our country. “Of what benefit are roads, rails and bridges without human beings to run them? “Fourth, we are also very concerned about the huge pressure being brought upon the Organised Private Sector (OPS) to compromise their stand on the N30, 000 New National Minimum Wage. 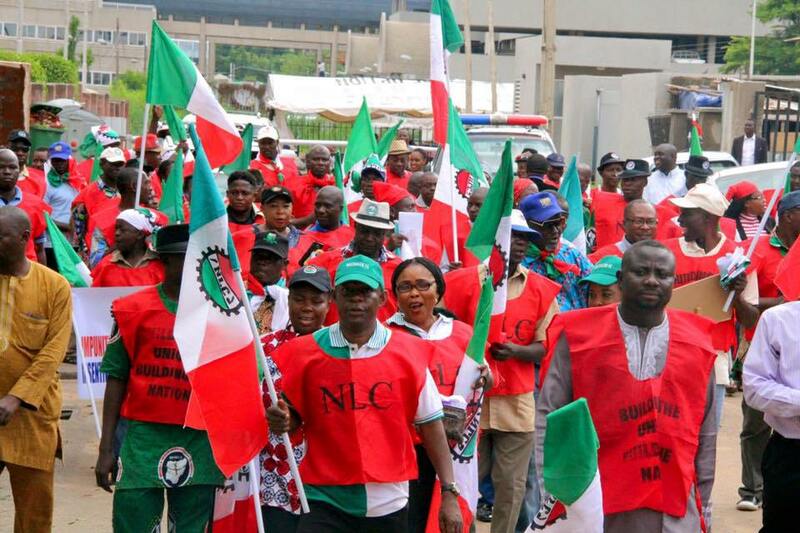 “This pressure by enemies of the Nigerian people was what led to the recent statement by NACCIMA that sought to cast aspersion on an already negotiation on the New National Minimum Wage. “I have spoken to the Head of NACCIMA and she has disputed what has been published by many newspapers. 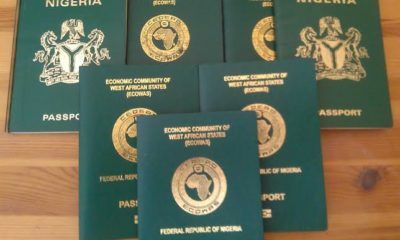 “I am also aware that the Nigeria Employers Consultative Association (NECA) will also issue an official statement,” Wabba added. He explained that labour demands that the constitutional, legal and morally right step to be taken at this point is for the Chairman of National Minimum Wage Tripartite Negotiating Committee to submit the report of the already concluded negotiations to Mr President. He also advised all the governors to return to their respective states and gather their workers and tell them reason they cannot pay N30,000 not just coming to Abuja to announce they cannot pay.